You may have seen the #22PushupChallenge rapidly taking over your social media feeds. If you haven't, don't worry -- the Ice Bucket Challenge from a couple years ago suggests this could blow up into a viral sensation in no time. The campaign asks people drop and give social media 22, then challenge three friends -- it started as a call-out from the #22Kill nonprofit, which works to educate the public on veterans suffering from mental illness. An average of 22 veterans kill themselves every day, and #22Kill not only raises awareness about this shocking statistic, but also serves as a resource to connect veterans with programs and services in their area. 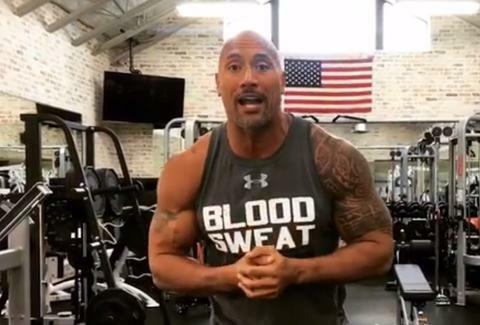 Celebs including The Rock, John Krasinski, Kevin Hart, and Chris Pratt have all gotten in on the action, posting their own #22PushupChallenge videos to social media and challenging their famous friends to do the same. As soon as Mark Zuckerberg pulls off 22 pushups, you KNOW this challenge has hit ice bucket territory. Obviously this isn't just about celebs doing pushups; the idea is to get those with huge social media followings to spread the message at viral speed. If the #22PushupChallenge has the same success as the Ice Bucket Challenge did, #22Kill should reach their goal of 22 million pushups in no time. Hopefully the increased awareness and donations will lead to better treatment options for veterans with mental illness, many of whom currently lack the resources to seek professional help. Christina Stiehl is a Health and Fitness Staff Writer for Thrillist who can barely do two push-ups, but thinks the #22PushupChallenge is a great campaign for an important cause. Follow her: @ChristinaStiehl.